CIBITOKE / BUBANZA / MAKAMBA April 16th (ABP) – Heavy rains in recent days have caused damages in some provinces of the country. In Cibitoke province houses, latrines collapse from day to day since Tuesday April 11, on the hills of Mparambo I and Mparambo I in Rugombo commune. Until the evening of Thursday April 12th, the local administration and Red Cross volunteers had already identified 37 houses that collapsed, including 21 houses of Mparambo II and 16 houses of Mparambo I. Victims who lived mostly with the little money they earn in the rural activities they perform at their neighbors are asking for help. The administration advocates for those victims and encourages neighbors to help each other while waiting for support from other benefactors. The Red Cross is preparing to disinfect flooded latrines each time to prevent cholera and other diseases. 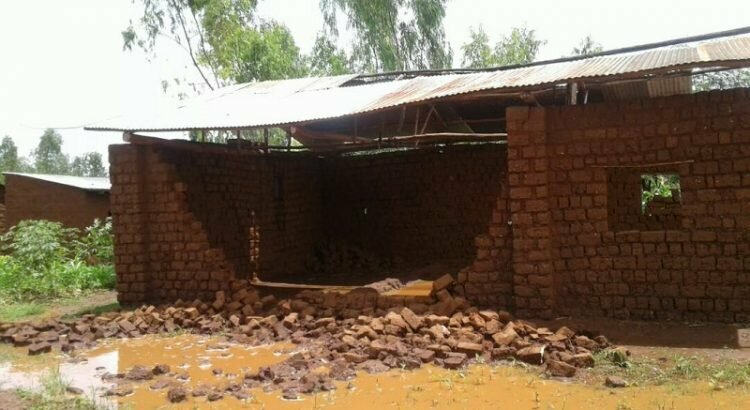 In Bubanza province, more than 377 houses were destroyed and more than 180 hectares of fields were damaged by heavy rains in Bubanza province (northwestern Burundi), within no more than one week, according to administrative source. There are 180 houses destroyed in Musigati commune, 172 in Bubanza commune, 15 in Rugazi and 20 in Mpanda, while 172 hectares of crops were damaged in Bubanza commune and 20 ha in Mpanda commune. The administrator of the Rugazi commune said that all the bean fields on the edge of Kibira were all damaged by rains. 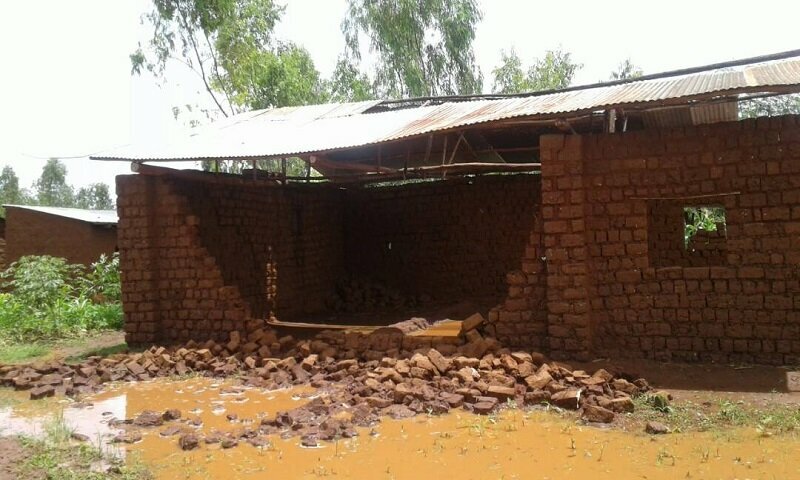 Other evoked damages include 20 graves damaged in Buringa commune Gihanga, a student injured by a classroom wall that collapsed in the Musigati commune. In Bubanza commune, two churches were destroyed, 5 bridges and roads cut. The homeless are currently hosted by their neighbors while others are trying to rehabilitate their homes. The victims are worried that they will not have harvest for this season. They ask for help from any bona fide benefactor, especially in the rehabilitation of their homes. In Makamba province, the only road connecting the Mabanda and Vugizo communes is impassable since the night of April 11, 2018, following a mountain that slipped into that road at Nkojima on Kigamba hill in Mabanda commune, administrative sources told ABP. The administrator of the Mabanda commune, Mrs. Laetitia Niyonkuru, said that while waiting for the skills departments to dispatch a machine, people tried to draw next to those slips an alley to allow at least motorcycles or bicycles to pass.